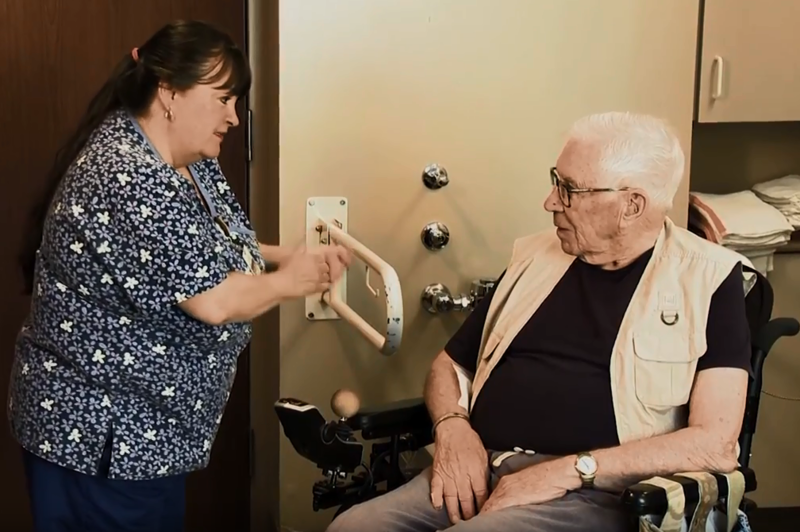 Sub-Acute Care for Frail Elderly (SAFE) is a new and innovative level of care that promises to improve the health and well-being of frail elderly patients hospitalized due to surgery, illness or accident. 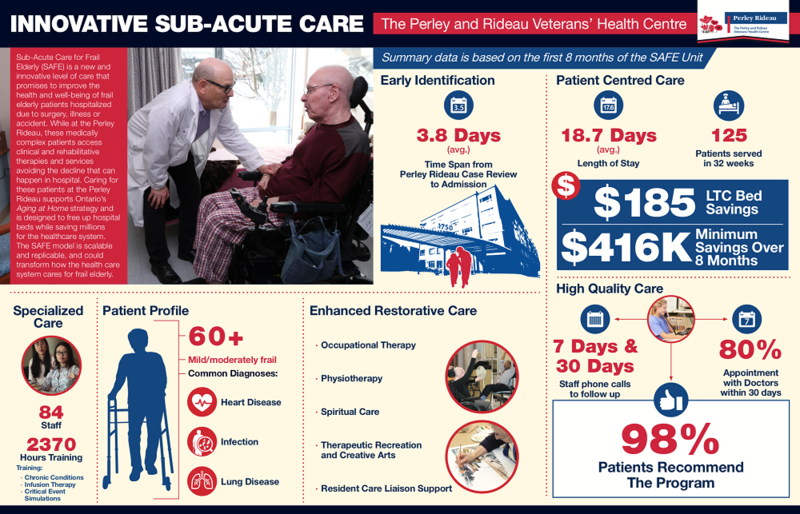 Under SAFE, these patients transfer from an acute-care hospital to a special 20-bed unit at The Perley and Rideau Veterans’ Health Centre, where they access the medical and rehabilitative supports needed to recover fully and return to their place of residence. The program is designed to prevent deconditioning that can happen in hospital. Patients typically stay on the SAFE unit for 2-3 weeks. 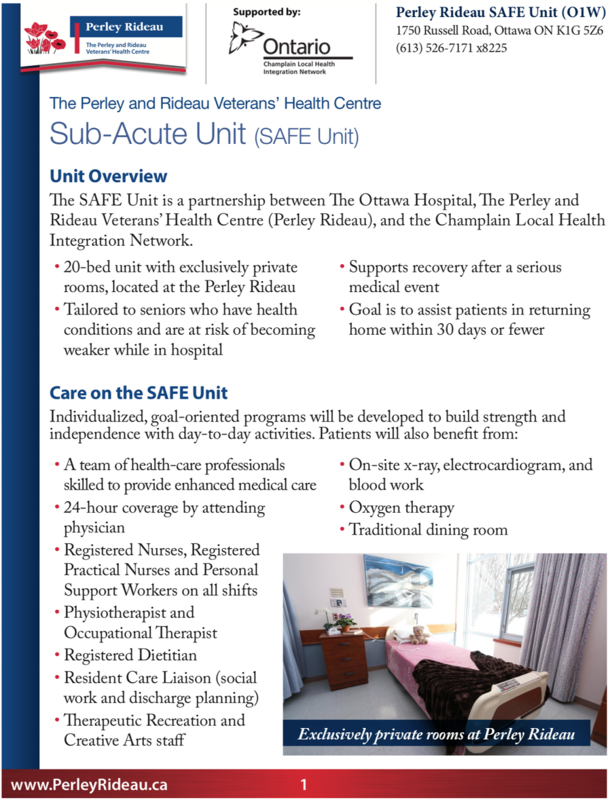 SAFE is a partnership involving the Perley Rideau, The Ottawa Hospital (TOH), and the Champlain Local Health Integration Network (LHIN). 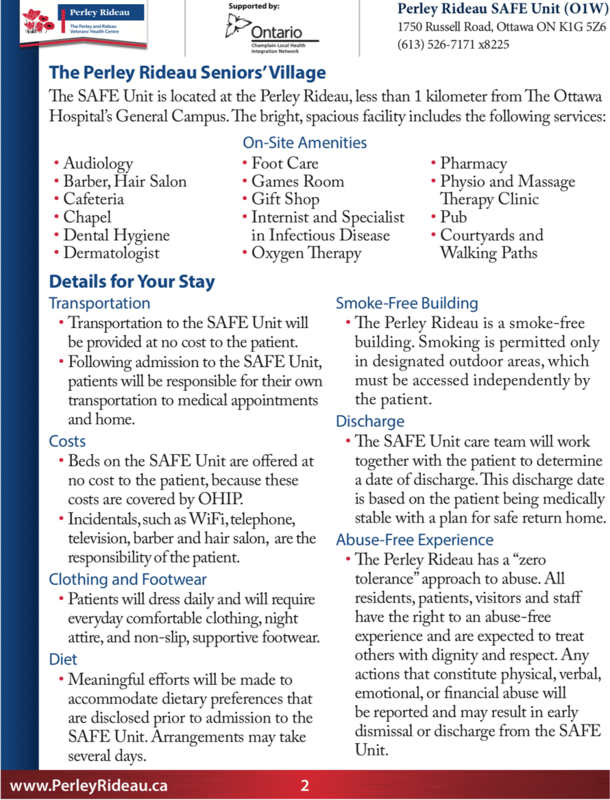 The program has expanded to support patients transferred from Queensway Carleton Hospital and Montfort Hospital. A Perley Rideau family physician oversees the care of each transferred patient, with the support of a team of TOH specialists. Other members of the care team include nurses, physiotherapists, occupational therapists, dieticians, resident care liaisons, recreation programmers, recreation therapists, creative art instructors and personal support workers. This collaboration between an acute-care hospital and a long-term care home is unprecedented. The SAFE model is both scalable and replicable, and could transform how hospitals treat the frail elderly. Home and Community Care, Champlain Local Health Integration Network (LHIN) is responsible for determining eligibility, in partnership with the Ottawa Hospital and The Perley and Rideau Veterans’ Health Centre.